On 20 June 2018 the Supreme Court of Queensland handed down the landmark decision in Re Creswell  QSC 142. The Court was asked to determine whether the Applicant, a 25 year old woman, had the right to possession of the spermatozoa of her deceased fiancé, removed some 48 hours after his death pursuant to a Court Order. The Applicant, Ms Ayla Creswell, and the deceased, Mr Joshua Davies, were in a relationship for approximately three years and were planning to get married and have children. Tragically, Mr Davies took his own life in August 2016. With the support of her family and the deceased’s parents, Ms Creswell made an urgent application for the removal of sperm posthumously and subsequently for a declaration that she has the right to possession and use of the sperm. The law relating to posthumous use of gametes (sperm and ova) varies among Australian states. In Queensland, where the case was decided, there is a statutory regime for removal of sperm from a deceased person. However, there is no statutory regime which applies to the use of posthumous sperm. Prior to this case, there had been no consideration in Queensland of the Court’s jurisdiction to make orders as to whether a party is entitled to possess and use any sperm that has been removed. In this instance, the Court said that such a determination depended on whether the sperm could be characterised as property, and if it is, who has rights in relation to that property. Ultimately, the Supreme Court of Queensland was satisfied that the sperm was capable of being property as a result of the work and skill applied in removing, separating and preserving the sperm on behalf of Ms Creswell. After considering a number of discretionary factors, the Court determined that Ms Creswell was entitled to permanent possession and confined use of the sperm. 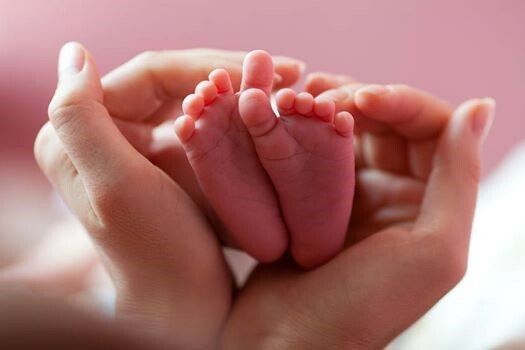 While this is a landmark decision for Queensland, the position in Western Australia remains far more restrictive for those wishing to use gametes posthumously to conceive a child. Like in Queensland, there are legislative provisions in Western Australia dictating the posthumous removal of sperm. b) for use of the tissue for other therapeutic purposes or for medical or scientific purposes. b) there is no reason to believe the deceased person had expressed an objection to the removal of tissue after death and the senior available next of kin consents to the removal of tissue from the body of the deceased person. Interestingly, although the Human Reproductive Technology Act 1991 (WA) requires the consent to be given in writing by the person whose gametes are to be used , even with such consent, the use of gametes in Western Australia is only permitted during the life of the donor. This means that while there are provisions for their removal, the use of gametes posthumously to conceive a child in Western Australia is not permitted. So where does all this leave Western Australians wishing to use gametes to conceive a child after the death of a gamete donor? Well, currently, any person wishing to use gametes in such a manner needs to relocate the gametes from Western Australia to an interstate jurisdiction where posthumous use of gametes is permitted. The Supreme Court of Western Australia was recently asked in the case of GLS -V- RUSSELL-WEISZ  WASC 79 to decide whether the plaintiff (de-facto partner of the deceased) had the right to direct the clinic storing the sperm extracted to be transferred from Western Australia to the Australian Capital Territory (where posthumous use of gametes is not prohibited) without the prior approval of the Reproductive Technology Council of Western Australia. Although Martin CJ decided that the plaintiff had the right to direct the clinic currently storing the samples to transfer them to another clinic in the Australian Capital Territory, in his decision, His Honour avoided determining the question of precisely what rights the plaintiff enjoys with respect to the stored samples. It would therefore appear that provided sperm is removed in accordance with the Human Tissue and Transplant Act 1982 (WA), the senior next of kin has the ability to direct the transfer of gametes extracted posthumously interstate, where their use will be dictated by the laws of that state. In looking at the various cases available on this subject it is interesting to note that there is a body of legal commentary and opinion which criticises the approach whereby applications for posthumous collection and use of gametes are managed simply as legal issues, avoiding the complex ethical questions surrounding the same. It will be interesting to see whether this approach changes in the future as we start seeing more attempts to use posthumous gametes to conceive children.